Microsoft's Office 365 provides a powerful email package, enabling users to access mail, calendar, contacts, and to-do lists from the Outlook Desktop app, on the web, or on your mobile devices. Your username is your Firstname.Lastname@gordon.edu. Apple Users: Please do not use Safari the first time you sign into your account, as many users have reported errors when they first set up their account on Safari. After you log in the first time, Safari should work.  If you are new to Gordon College and have not previously set up an email account, you will need to log into your new email account through a browser before accessing it through an email client or mobile device. If you use Microsoft Outlook, Apple Mail, a smartphone, or a tablet to connect to your email account, or if you wish to forward your Gordon account to another email account, please follow the instructions below. Please note, web access (http://mail.gordon.edu) is the only supported method for alumni to check their Gordon email account. Other options are provided below for faculty/staff and current students, and should work fine for alumni, but are not supported by CTS. PC users, follow the instructions provided by Microsoft here. Mac users, follow the instructions provided by Microsoft here. Please use this resource from Microsoft's help page. If you wish to redirect all incoming email from your Gordon account to another account, you can set up a mail rule. Log into http://mail.gordon.edu, click "Options" (top right) and choose "Create an inbox rule." Click "New," and for "Do the Following," choose "redirect the message to" and enter your other email address. If you are an alumni, you can fill out the alumni email request form. Please follow these instructions for connecting Apple Mail to Gordon email. Click the System Preferences icon in the Dock, or click the Apple icon in the top toolbar and select "System Preferences" from the dropdown menu. Click "Exchange" from the column of account types on the right. In the fields provided, type your name, full Gordon email address, and password, then click "Continue." Confirm the account summary by clicking "Continue." On the next screen, choose which apps to use alongside your Gordon account, then click "Done." Launch Apple Mail by clicking the Apple Mail icon in the Dock. If you have any further questions, please call CTS at 978.867.4500.